Jack Hanna signs Jungle Jack: My Wild Life. John Bushnell "Jack" Hanna (born January 2, 1947) is an American zookeeper who is the Director Emeritus of the Columbus Zoo and Aquarium. He was Director of the zoo from 1978 to 1993, and is viewed as largely responsible for elevating its quality and reputation. His media appearances have made him one of the most notable animal experts in the United States. Hanna, nicknamed "Jungle Jack", is known for his khaki safari outfit, deep tan, and Southern accent. Jack Hanna is currently considered a "single author." If one or more works are by a distinct, homonymous authors, go ahead and split the author. 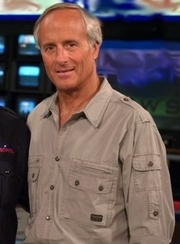 Jack Hanna is composed of 2 names. You can examine and separate out names.